- Power : 3HP to 7.5HP 3Phase. We are offering wide range of industrial ribbon blenders to our valued clients is used for blending, mixing various types of powder and granules etc. 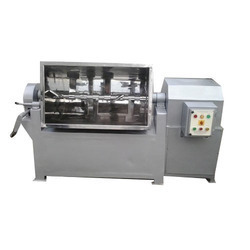 The machine is idle for mixing spices products, pickles and many types of powders, granules type products.